Skyline Brushed: Brushed watercolor script typeface. Complete character set with ligatures and multilingual support. Includes complete punctuation. 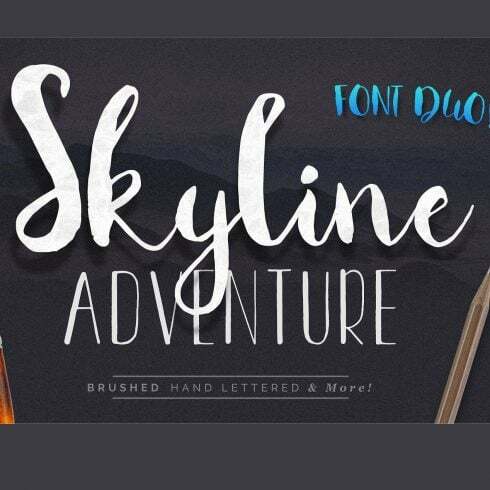 Capital Adventure: Fineliner,all-caps font with wide spacing. All caps multilingual support including punctuation. The Definition Of Fonts and What Makes Them Essential? Font can be described as a visual representation of written text. We could also define it as a design of a collection of characters. With different styles, point sizes, weight, and shade, fonts in many instances set the style of overall design. The pricing on a single font range from $7 to $100 depending on the publisher and marketplace. How Can Fonts Sway The Perception of the Service? The standard of typography can determine how users comprehend and grasp written information. Fonts make it possible to grab attention and set up structure. They establish the mood and develop business recognition. Advertisers are aware that fonts can create or ruin virtually any graphic ad, business logo, or brand graphics. Whenever the designer uses sloppy or generic typography, people perceive the design and style as cheap and never respond. If the font is challenging to read, the whole creative project does not work out to achieve its aims. There exist 5 major types of fonts. Serifs are more typical, they can be easily spotted by small lines placed on letters. Sans-Serifs are a modern font type, and characters are lacking tiny “feet” . Slab-serif fonts feel massive and blocky, these fonts add more substance to the design. Scripts look like hand-writing while having connected letters. Stencils are recognized by curved edges and narrow strokes, utilize them to develop a creative statement. The Definition Of Font Bundles and What Is The Price range For Them? 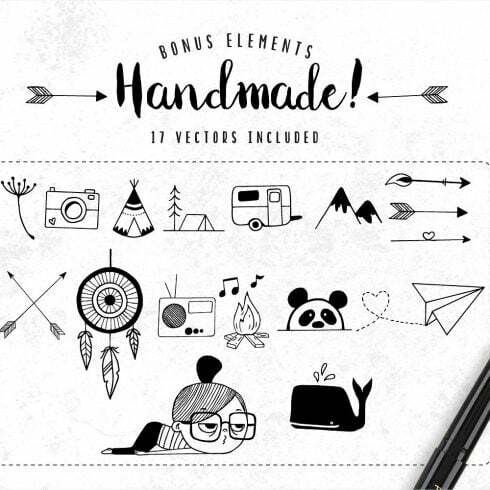 A font bundle is basically a group of multiple (2 to 15) fonts sold at more affordable price. One of the benefits of getting packages is that they cost you a little higher than a single web font does, provided they are on discount. The typical cost of a web font set on our site is just $2-20. However, hurry up: the life period of each bundle lasts only 5 days. Can Fonts Influence The Perception of the Products or Services? In the case of making banner ads, one should pick a web font really carefully. Ad banner creators should opt for those styles of fonts that will match the atmosphere of their commercial. The font itself does not simply bring info in a form of text but also fills it emotionally, as long as one is put to use properly. Generally, the ad textual content shows the reader an idea of the company’s product/service, which signifies a well-selected web font will only contribute to needed visual impact. In case you haven’t located a suitable font within this deal, do not lose hope! There are actually hundreds of product bundles provided by the greatest graphic designers on MasterBundles.com. Take your time to browse all those bundles and you may uncover the right deal! It’s so rewarding to eventually discover the deal that suits your creative and professional needs. MasterBundles.com is an online marketplace. On our resource, pro web designers offer their creations at the best prices. This site offers the best design bundles out there, and our products are highly reviewed by clients. Go look at our blog, it really is packed with practical and inspiring articles for professional web designers. Also, if you subscribe to our newsletter, you will be the first to find out about our special discounts. There are always discount codes and promo codes available to chop the prices to a bare minimum.